Thank you for visiting Proudfoot Motors. We are a Heavy and Light CVRT Test and Repair Centre. 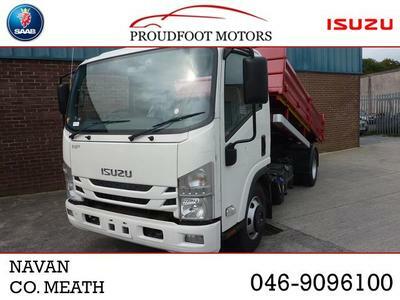 We are the Main Isuzu Commercial and Light Trucks dealer for the North East. We offer a repair and maintenance service for all Makes and Models. Our customers vary from a customer with one vehicle to a large company with hundreds on their fleet. We open from 8.30am until 5…pm daily and open late every Wednesday in our CVRT Test Centre. You can avail of our Drop off/ Collection service so you can leave your vehicle with us throughout the day. We can also carry out all repairs and service work to ensure that your vehicle passes its CVRT Test the 1st time. Call us today on 046-9096100 to see what we can do for you. 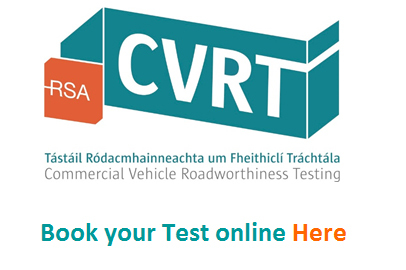 Don't forget, you can book your CVRT Test online anytime by clicking here.